Germany`s new interior minister has said he believes "Islam does not belong" to the country, in remarks that contrast with those of Chancellor Angela Merkel. Horst Seehofer set out a range of immigration policies as he took up his role at the heart of the new coalition. He has long been a vocal critic of Mrs Merkel`s refugee policies. In 2015, amid a rise in anti-immigration protests, Mrs Merkel said she believed Islam was part of Germany, echoing words from former president Christian Wulff. 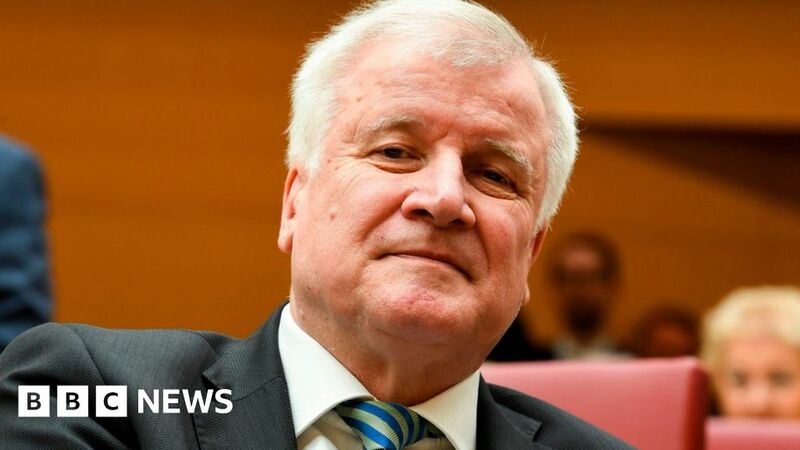 In his interview with the mass-circulation Bild newspaper, Mr Seehofer said Germany had been "shaped by Christianity", and that the country should not give up its own traditions. "The Muslims who live with us obviously belong to Germany," he added. Mr Seehofer, who heads Mrs Merkel`s Bavarian sister party the CSU, also vowed to increase deportations of rejected asylum-seekers. More than one million migrants arrived in Germany after Mrs Merkel opened the doors to Syrian asylum seekers in 2015. The backlash sparked by her policy helped fuel the country`s far right in last year`s election - the AfD entered the federal parliament for the first time - and led to the worst electoral performance in almost 70 years for her CDU party. After Germany`s longest post-war period of coalition-building, Mrs Merkel was sworn in for a fourth term as chancellor on Wednesday. Under the coalition deal, the CDU-CSU conservative bloc and the Social Democrats (SPD) agreed to limit migration.